Out of many forms of revelation which God has disclosed to me, one is that when God desires to disclose some hidden matter to His servant, He causes to flow from his tongue some phrases in a slight slumber, sometimes gently and sometimes harshly. Those phrases that flow harshly from the tongue fall upon the tongue as hardly as hails falls suddenly upon a hard piece of ground, or as the hooves of a fast running steed strike the earth. Such a revelation arrives with speed and is so awe-inspiring that the whole body is affected thereby and the tongue runs with it so fast and in such a majestic voice as if it is not one’s own tongue. The slight slumber disappears altogether when the revelation is completed and during the time it is received one lies motionless like a corpse. The second type of revelation, which on account of its many wonders I call perfect revelation, is that when God Almighty desires to inform a servant of a hidden matter after his supplication or on His own, He imposes a faintness upon him, whereby he becomes completely lost to himself and sinks in that faintness like a person who dives in deep water and disappears in it; then when he emerges from this diving he feels a sort of echo inside himself, and when that echo ceases he feels from inside himself words that are appropriate and fine and delicious. This diving in the faintness is a wonderful experience which cannot be adequately described in words. In this condition a whole ocean of understanding is opened for a person. The third form of revelation is communicated to one’s heart in a gentle manner. A phrase passes through the heart which does not comprehend all the wonders in perfection that are a characteristic of the revelation that we have just described. It is not necessarily preceded by any faintness or slumber. It can be received in complete wakefulness. It is felt as if someone has breathed those words into the heart or has thrown them at the heart. One might be partially awake or might be completely awake and one suddenly feels that new words have entered one’s breast. Sometimes, immediately on entering the heart, the words manifest their forceful light and one becomes aware that these words are being conveyed by God. By the grace of Allah (swt) I continue my sermon which I started last Friday where I began the explanation on the three categories of people who receive revelation. I told you about the first type of people, those who have no merit and have no relation with God Almighty. Today, I will Insha-Allah continue my explanations on the same subject. So, the second type of people are those who have some relationship with God Almighty, but that relationship is not perfect. 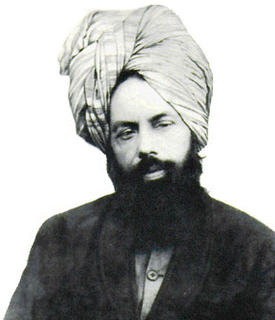 The Promised Messiah (as) provides the analogy that their dreams and revelations resemble the experience of a person who, on a dark and very cold night, espies the glow of a fire from afar and thus is able to avoid walking along a path which is full of pits and thorns and rocks and along which serpents and wild beasts exist in large numbers. But the glow of the fire cannot safeguard him against the cold and death. If he cannot reach the warm circle of the fire, he is destroyed like the one who walks in the dark. Continuing the analogy, the third type of people are those whose experience of dreams and revelations resembles that of a person who on a dark and very cold night not only finds the bright glow of the fire and walks in its light, but who also enters its warm circle and is fully safeguarded against the cold. This stage, the Promised Messiah (as) mentions, is reached by those who burn up their passions in the fire of Divine love and adopt a life of bitterness for the sake of God. They perceive death – i.e. the death of their passions – ahead of them and run towards it and choose it for themselves. That death can also refer to the natural death of man but who the recipient of revelation accepts and welcome for he knows and fully comprehend that this is the way which will inevitably lead him to his heart’s content, i.e. God Almighty. Thus, death does not become a fearful instance but rather a friend which he embraces so that He may see the countenance of God with a heart filled with the hope of divine mercy and His (Allah’s) love. These type of people, according to the Promised Messiah (as) accept every torment in the cause of God and for the sake of God they become the enemies of their ego and treading contrary to it (i.e. to their ego) exhibit such power of faith that even the angels are surprised at the strength of their faith. They are spiritual champions and all attacks of Satan come to nothing in opposition to their spiritual power. This third type of revelation is called perfect revelation. It descends upon perfect individuals and resembles the ray of the sun that falls on a clean mirror. Then that ray is magnified ten times and its light becomes unbearable for the eye. Interest or more precisely, interest rate is defined as the price of money, the price at which money can be borrowed and determined like other prices by the collusion of the forces of supply and demand. Originally usury was any premium we had to pay against the use of currency. Nowadays, usury also means the practice of asking for a very high interest premium through borrowing as well. The verses which I recited consist of an injunction for mankind – especially Muslims – that represents and severely condemns the practice of usury or interest. Thus any transaction relating to usury (i.e. Riba) is illegal, as well as all transactions acquired by illegal means; Transactions such as: bribes, fraudulent transactions, gambling, bank interest, etc. The existence of man is not due to chance. His presence on earth either is not without purpose. His creation is a divine decree for specific purposes. Undoubtedly, and without exaggeration, he is the only creature that Allah the Supreme Creator, has preferred to others. “Verily, we have honoured the Children of Adam. We carry them on the land and the sea, and have made provision of good things for them, and have preferred them above many of those whom We created with a marked preferment.” (Al-Isra, 17: 71). “We created man from an extract of clay. Then We placed him as a drop of sperm in a secure receptacle. then We developed him into another creation. Therefore, man must recognize his value and supremacy over all other creatures. He is an unparalleled elect (from among all the creations of Allah). His soul, and his body are all a favour from the Great Creator, a wonderful gift. He is responsible to preserve, to protect and refrain from causing them (i.e. his body and soul) any harm. But since man ignores all these realities, the existence of man on earth becomes something meaningless to him and does not represent any value in his eyes. He considers himself a creature similar to others, with a beginning and an end. Nothing more. This way of thinking is the main cause of the loss of thousands, if not millions of lives. How many nations were exterminated from the first one to the last for no good (valid) reason? Why do Muslims offer Prayer? 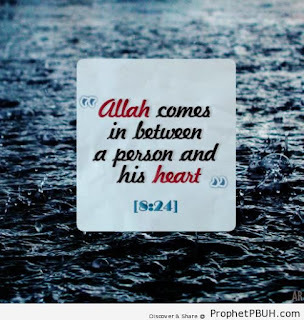 Who know for certain that they shall meet their Lord and that they shall return to Him.” (Al-Baqara, 2: 46-47). Prayer (Salat) is a spiritual purification through which Muslims are required to undergo five times a day. Prayer is an integral part of Islam and is thus incumbent upon every sincere Muslim believer. Prayer enables Muslims to affirm five times per day the Unity and attributes of Allah, and their belief in Muhammad (pbuh), His Messenger. Prayer is therefore a part of the everyday affairs of the Muslim – he has been commanded by God Almighty to pray in the morning before sunrise, prayer is also ordained for him just after midday, a third in the afternoon, a fourth just after sunset, and a fifth in the evening before going to bed. Prayer is thus the first daily preoccupation of a Muslim and also his last. Prayer enables man, even when at his busiest, to disengage himself from worldly affairs in order to remember his Maker. Whilst Islam emphasises the accountability of each and every individual to Allah, it allows for the weaknesses and imperfection of man. Although one is supposed to pray five times a day, allowances are made for those whose work schedules are such that they cannot break off at the required times of day. 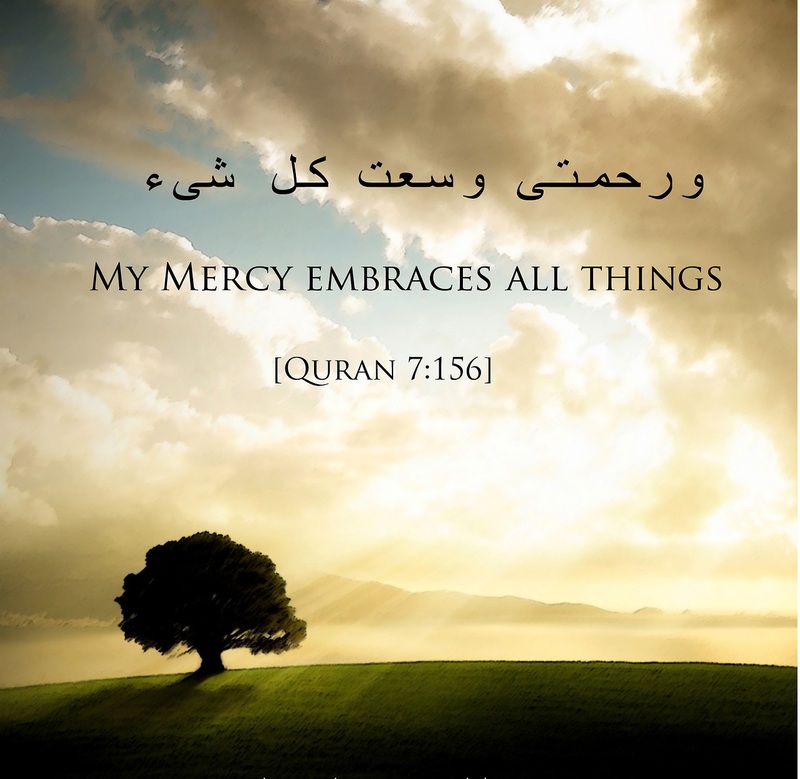 Thus, certain prayers can be combined and said together. Furthermore, if one is ill or on a journey, concessions are made so that the number of prayers are reduced, or in the case of illness, the actual form of prayer may be changed. For example, Instead of standing for prayer, the sick person may sit down to pray and if he is unable to do even that, he can lie down on the bed to pray. “Eyes cannot reach Him but He reaches the eyes. And He is the Incomprehensible, the All-Aware.” (Al-Anam, 6: 104). In this verse, God draws the attention of man to the fact that his eyes are not capable of seeing Him, for He is Subtle and subtle things cannot be perceived by the eyes. What then is the way of knowing God? He answers this question by saying; “but He reaches the eyes”, i.e., though the eye of man is not capable of seeing Him, yet He reveals Himself to man by a display of His powers and by a manifestation of His attributes. Manifold are the ways in which He reveals Himself to man. He displays His unlimited power, sometimes by terror-striking signs, sometimes through prophets, sometimes by signs of mercy, and sometimes by accepting prayer. Of all the doctrines and beliefs that have been subjected to in this age of materialism, the greatest is the belief in the existence of God. The idolater sets up other gods with God, but he believes at least in the existence of God. The atheist, however, denies the very existence of the Supreme Being. As in the present day science everything is based on observation, hence the demand of the Atheist is: If there is a God, show Him to us. How can we believe in Him without seeing Him? As Western influences have gone a long way towards effacing from the hearts of many young people the imprint of the Divine Being and hundreds of college students, barristers, etc., have begun to deny the existence of God, and there are thousands of persons, who, through refraining from an open declaration of their views through fear of the community, have really no faith in Him, therefore Allah inspired me to write this sermon so that some fortunate soul may derive benefit from it. 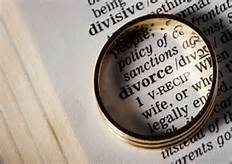 My Friday Sermon (Jumu’ah Khutba) today is on the subject of divorce (Al-Talaq). Islam places great emphasis on marriage in the sense that it is a sacred contract that cannot be broken for vain and trivial reasons. 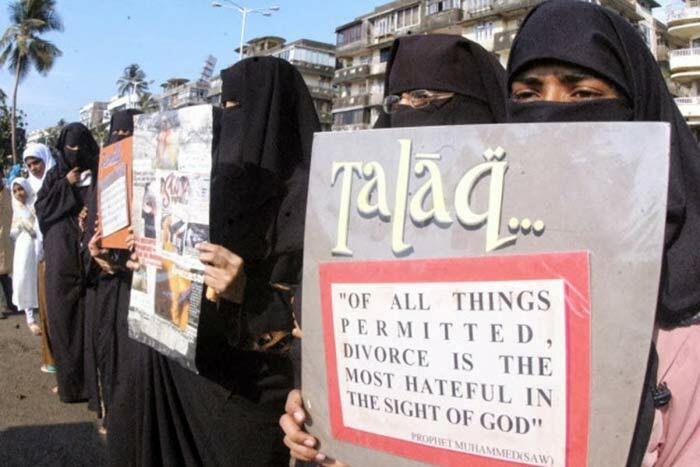 Although Talaq (divorce/ repudiation) is allowed, it must be considered that from among everything which is allowed, Talaq (divorce) is the most hated thing, the most abhorred by Allah and it is permitted insofar that it does no unjust damage. It should in no way be used as part of some ruse which acts as a pretext for divorce. It can happen that the husband does not like a particular behaviour of his wife and that he has had enough of her. 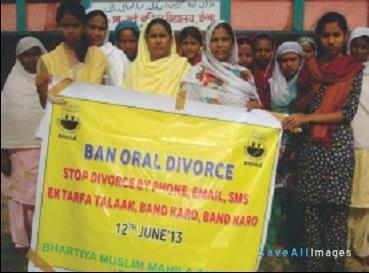 This is not sufficient to justify his request for divorce (Talaq). He must not consider only the negative side of his wife but on the contrary he must assess her good qualities that may well be greater than the defects. A separation may as well have a detrimental effect on the behaviour of the couple’s children (if any) who may become easy prey for Satan. Islam does not rush to impose sanctions on its citizens indiscriminately. Instead, Islamic precepts are very firm in relation to the protection of the privacy of individuals which is considered sacred. Islam does not put up surveillance systems, police, cameras to film people and spy on them and scrutinize them through. 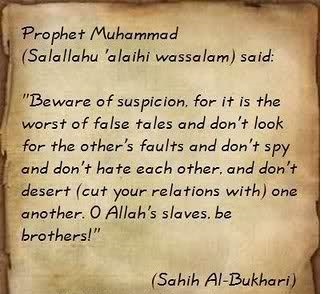 It is reported that the Prophet (pbuh) said: “When the ruler starts searching for the causes of suspicions among the people he perverts them.” (Abu Dawud, Al-Hakim). We also note that the explicit prophetic teachings greatly encourage the believer to cover himself (i.e. to keep his mistakes and sins to himself) and to cover others. “The day whereon neither money nor children will avail, except him who comes to God with a sound heart.” (Ash-Shu’ara, 26: 89-90). The heart is continually exposed to the seductions of this world. When the heart is imbued with the fear of God, it manages to resist these temptations. 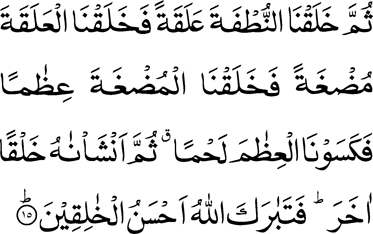 But in the absence of that awe, the heart will be corrupted and will push the individual to disobey his Creator. 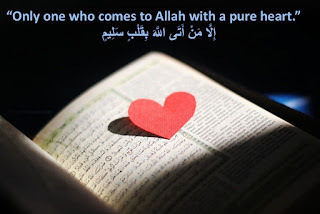 The Holy Prophet (pbuh) said: “Temptations will be presented to men's hearts as reed mat is woven stick by stick and any heart which is impregnated by them will have a black mark put into it, but any heart which rejects them will have a white mark put in it. The result is that there will become two types of hearts: one white like a white stone which will not be harmed by any turmoil or temptation, so long as the heavens and the earth endure; and the other black and dust-coloured like a vessel which is upset (turned upside down), not recognizing what is good or rejecting what is abominable, but being impregnated with passion.” (Muslim). Man must throughout his life wage a merciless battle against the seductions and temptations of this world. To achieve this, he must strengthen himself through acts of worship. Textual Islam, as emerging from the Qur’an and the sacred Prophetic traditions, provides a fascinating framework to think about and shape an egalitarian family and social order. Islamic tradition envisions justice and fairness in all types of human relations- family engagements, business agreements, state administration and world order. Islam theorizes that the balancing of freedoms and responsibilities, rights and duties among the stakeholders is central to the long term cohesiveness of all types of social institutions. Hence, it commends equity, reciprocity, generosity and even magnanimity as diverse approaches that could be appropriately deployed for fostering family relations and retaining social order on an even keel. It insists on moderation and restraint and just dealings even in adversarial/strained relations. The Book of God also warns Muslims by citing the lessons from history, of other communities and nations that had abused their freedoms and failed their souls, so that they may observe the Divine limits of conduct. 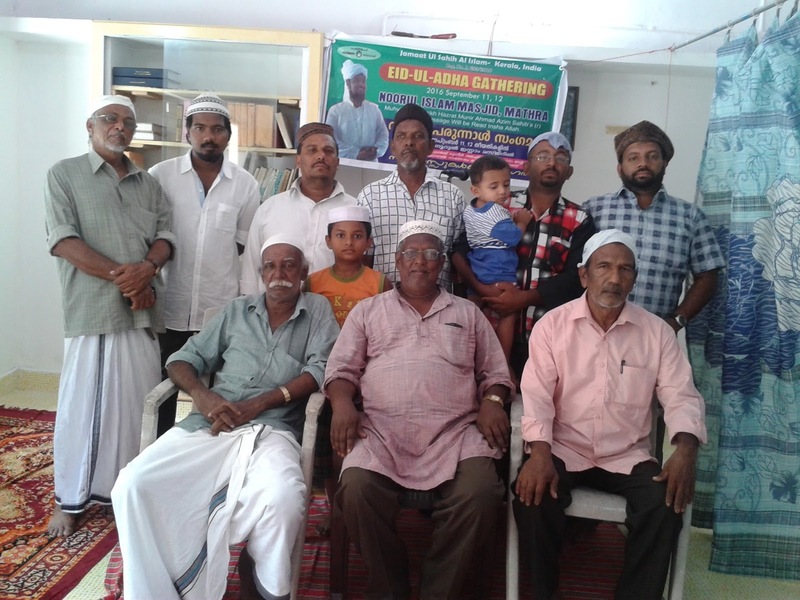 It is an irony of history that despite Islamic empires ruling over most parts of modern India for centuries altogether, the Muslims today stare at the bleak prospect of remaining at the margins of the Indian State for the foreseeable future. With the partition of the subcontinent in the 1940’s into India and Pakistan on the exit of British colonial administration, the Muslims were reduced to a neglected, minority group of 'second-class citizens' among the sea of Hindus in the 'secular', 'democratic' India. Majoritarian political mobilization, rising religion-based adverse discrimination, communal prejudices and other exclusionary biases, denial of fundamental rights and deprivation of basic entitlements are rampant in India today. So much so that astute political observers fear that 'Hindutva'- the political cry for ultra-'Hinduisation'- might bury India's composite culture and latent secular ethos in its majoritarian triumphalism. Muslim women in India, thus, suffer from multiple disadvantages. Their vulnerability is directly related to and arises from the unjust social order prevailing in the country: the political system and the governing elites have failed to bring about an egalitarian society for all of the people through appropriate interventions, including legal reforms and sustained commitment to the equal application of the laws. 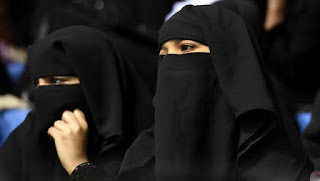 The traditional community leaders have also failed the Muslim women, they are unable or unwilling to ensure the basic rights and entitlements of the womenfolk in issue areas such as marriage and divorce, child care, family support and maintenance. Their failures are glaring and pronounced, given the impressive presence of a range of normative principles within the Qur'an and the Prophetic Traditions that address this vital area of family relations. The patriarchal dimensions of the Indian society, including among the Muslims, often perpetuate a 'family and community order' that inherently subjugates and oppresses women. Husbands are thus increasingly utilizing 'technological means' and new communication devices to get rid of their solemn marital responsibilities. 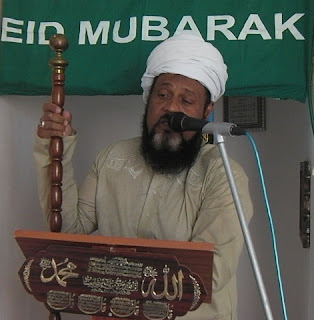 It is revolting that such men/husbands who neglect their Qur'anic duties on respecting the rights and entitlements of their former spouses on divorce, apparently enjoy legitimacy and community support, even as the Mullahs and Maulvis who constitute the community leadership, fail their vocation to stand by the victims, by their abject failure to insist on justice and fairness through internal reforms. India's imperfect democratic legal system, despite its structural biases and other inherent judicial inefficiencies, does offer the prospect of waging struggles for justice and reforms. This 'lawfare' possibility has in the past been invoked by spirited individuals, human rights activists and civil society movements to advance the cause of fairness and justice at multiple levels and scales in this diverse society. Of late, the Muslim women are organizing themselves to challenge the denial of rights in their every day lives. Former wives, abused and unfairly treated in marriage and out of it and are unjustly denied of their rights on divorce, are seeking to invoke the Qur'an and the national law in order to resist the male chauvinism and brinkmanship on display. Reproduced below is an Article in the Indian newspaper, The Hindu, dated October 02, 2016. 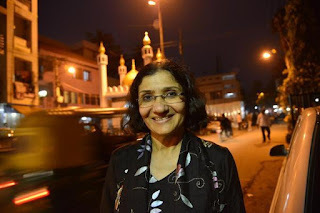 The article by Vaishna Roy chronicles the remarkable story of a social worker, Zakia Soman, and the women's organization she co- founded, Bharatiya Muslim Mahila Aandolan (Indian Muslim Women's Association) that is leading the legal struggle for banning certain unjust practices such as "Triple Talaq" that are being grossly misused by privileged men to neglect their legal responsibilities on divorce-matters. Bharatiya Muslim Mahila Aandolan turns 10. Feisty co-founder Zakia Soman describes the journey. Spirituality is not a set of vague feelings experienced by the Muslim but a daily practice for success in this world and the hereafter. Cohabitation (Married life) is not easy because our desire to be free and not be constrained by the other is greater than our desire to build a family. But for the Muslim, family is sacred. As stated in the Quran, we must reflect on the place of every word, of every verse. 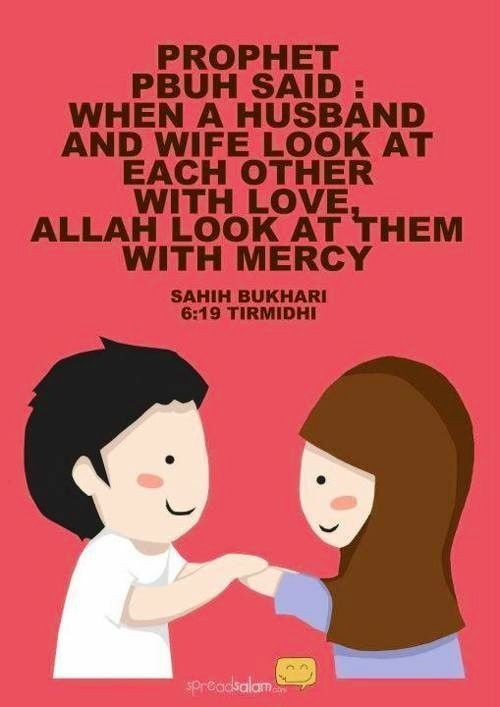 “Among His signs is that He created from yourselves wives so that you find tranquillity with them and He has set between you bonds of love and mercy.” (Ar-Rum 30: 22). The survival of humanity passes through the family. Currently, we are witnessing the decline of marriage. On the other hand, concubinage is becoming more frequent as well as conflicts which arise because of it. The consequence of concubinage worldwide is that over 20% of children are born outside marriage. No law in the Civil Code or other speaks of the duty to love. But in Islam, marriage will live by love or last by mercy. 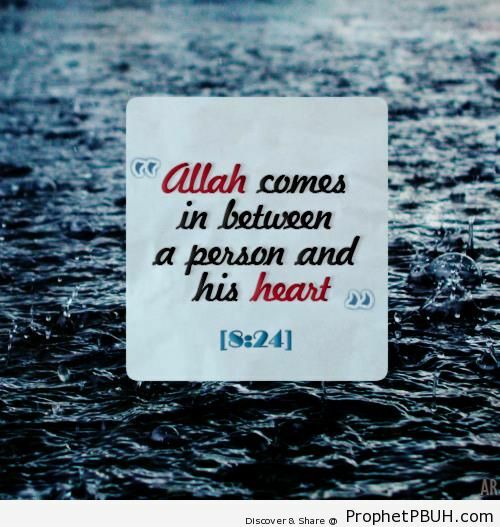 And this love is a blessing which Allah deposits in the heart of whomever He wills. “Those who say: ‘O our Lord! Grant us in our wives and our offspring the joy of our eyes and make us guides to those who are pious (God-fearing).’ Those will be rewarded with the highest place (in Paradise) because of their patience. 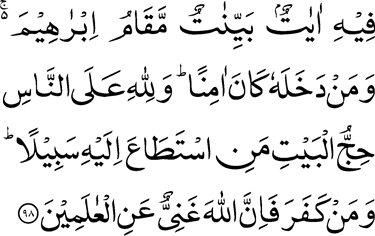 Therein they shall be met with salutations and peace.” (Al-Furqan, 25: 75-76). Before announcing the reward, there is beforehand the verse where we understand that love is a gift from God. Among His servants, there are those who say: “Lord, let the sight of our wives and our children fill us with joy.” This love will be directly related to paradise and guidance. Take the example of the Holy Prophet Hazrat Muhammad (pbuh) in the way he treated his wives, and he vowed exceptional love for his two principal wives: Khadija (ra) and Aisha (ra). 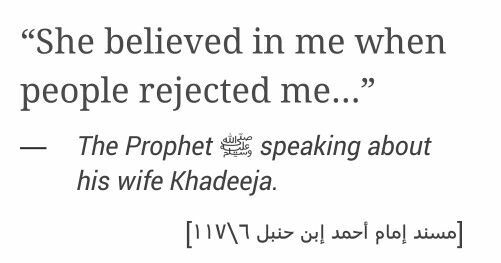 He always spoke good of his late wife Hazrat Khadija (ra). Hazrat Aisha (ra) was jealous of Hazrat Khadija (ra) despite the fact that she had ever seen her. 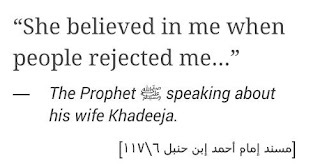 The Holy Prophet (pbuh) used to reminiscence her (Khadija) very often. And it was always in a good way. 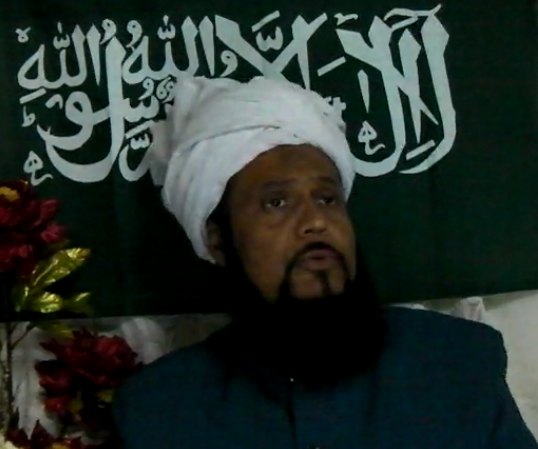 He had good relations with the relatives of Khadija (ra) even after the death of the latter. He used to send meat to her friends and stood up to receive them as soon as he saw them. That is why, Aisha (ra) was very jealous of her. On the evening of September 11, 2016 our members assembled for the Maghrib prayers at the Noor’ul Islam Masjid, Mathra. After the prayers, the Amir Saheb addressed the gathering and explained the Special Message of Imam Al Khalifatullah Hadhrat Munir Ahmad Azim Saheb (atba) of Mauritius. Before early dawn of September 12, brothers assembled for the Tahajjud prayers. Later, Darzul Qur’an was conducted by the Amir Saheb after the Namaz-e- Fajr. 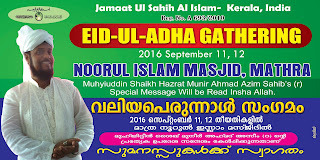 Everyone reassembled for the Eid-Ul-Adha prayers at the Masjid around 9.00 am. 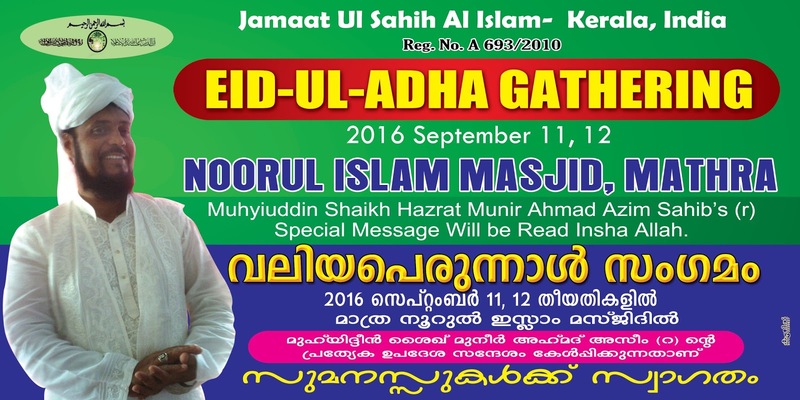 The Amir Saheb addressed the gathering by reading out last year’s Eid Sermon of the Khalifatullah (atba). After breakfast, brothers held the final session of the Meeting, beginning with the recitation of the Qur’an by YK Hariz Saheb. The Amir Saheb once again explained the Special message of the Khalifatullah (atba), especially for the benefit of our brothers who joined late. After the Namaz-e- Zhuhr, everyone had lunch- Eid Biriyani -together at the home of the Amir Saheb. Visiting families and the other brothers began to return to their respective places after the lunch. Visiting brothers- especially those who have come back after a year or more- were excited to see the visible transformation of the Masjid and its premises in such a short span of time. All of this change for the better became possible - thanks to the fervent prayers of the Imam (atba) complemented by the dynamic initiatives of the Amir Saheb that are accepted through the sheer blessings of Allah (swt), Alhamdulillah. Members went back with a renewed determination and spiritual vigour to serve the cause of faith in all ways possible, Insha Allah, Aameen. I quote a few verses to show that the rank and style of worship of Ibrahim (as) are the essence itself of Islam. When his Lord said to him, ‘Submit,’ he said, ‘I submit to the Lord of the Universe’. 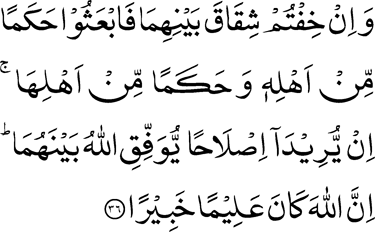 (Al-Baqara 2: 132). God told Abraham (as) that he should believe in Islam, that is to say, to submit himself exclusively to Him. Then Hazrat Ibrahim (as) replied: “I believe and therefore I submit.” And when Allah ordered him to submit, then Ibrahim (as) was prepared on the spot and declared that there was no dissension between the command/ order of Allah and his own submission. He proclaimed: “Yes, I submit myself to the Creator, the Lord of the Universe.” This was the first example of Islam mentioned in the Holy Quran and no other book mentions such acceptance of Islam. 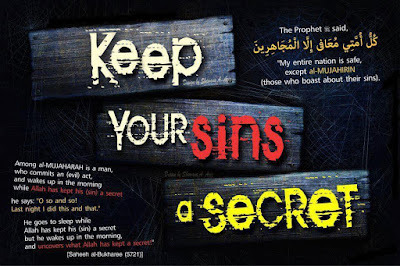 “Abraham was neither a Jew nor a Christian but he was continually submissive to Allah and was a Muslim. And he was not among the polytheists.” (Al-Imran, 3: 68). This definition of Islam refers to the aspect of idolatry, meaning that man should submit only to Allah and to none other than Him. 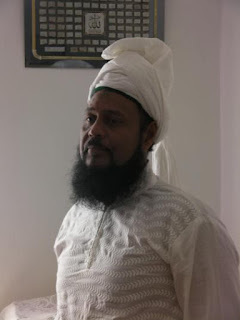 Man (humankind) must remain “Hanif”, that is to say, exclusively turned to Allah without conferring the same importance or the same worship to other (false divinities) except to Him (the true and unique God). Hazrat Ibrahim (as) personified this exclusive worship to Allah. This is a body of disciples who form the “Ummah” (Community) of your father, Ibrahim (as). Surely, the first House ever to be built for mankind is that at Bakkah (Mecca), blessed and a guidance for all nations. 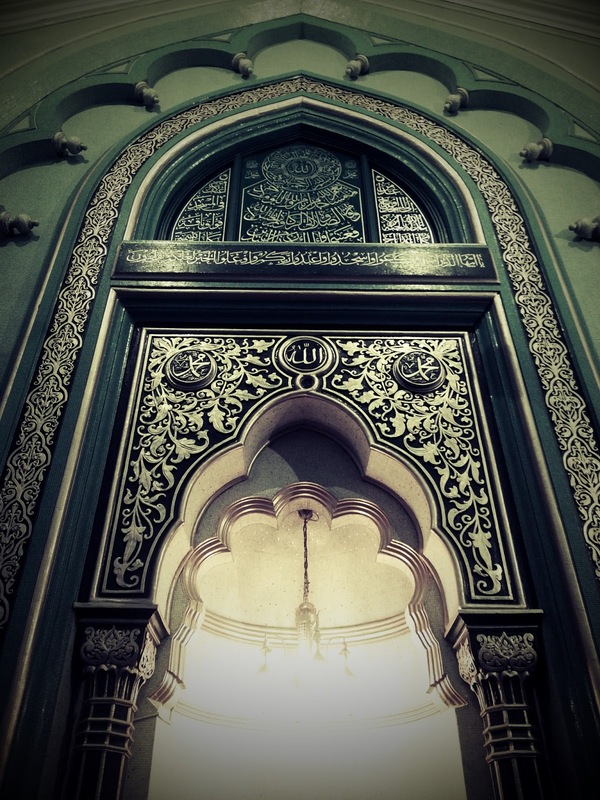 In it, there are clear signs; it is the place where Ibrahim stood; and whoever enters it shall be safe. 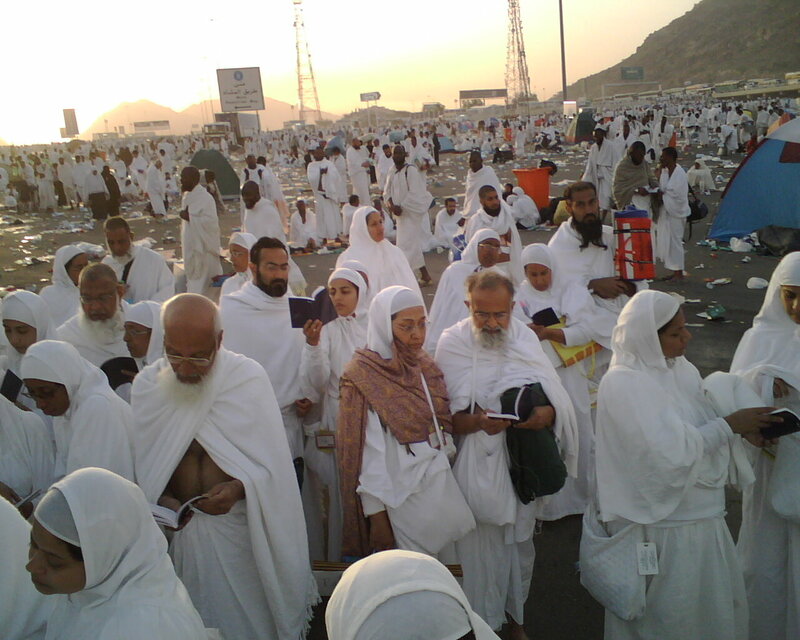 And pilgrimage to the House is a duty which mankind owe to Allah, (especially) those who are able to accomplish it; and whoever disbelieves, then surely, Allah is Self-Sufficient, relying not on temporalities. (Al-Imran, 3: 97-98). 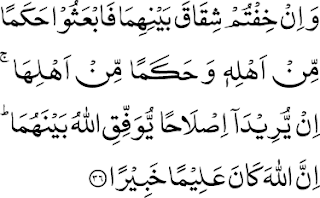 In these two verses, Allah speaks of the First House which was founded for mankind, that is to say, that of Mecca “Bakkah” which is abundant in blessings “Mubaarakan” and a guide to all peoples “wa hudal-lil-’aalamiin”. 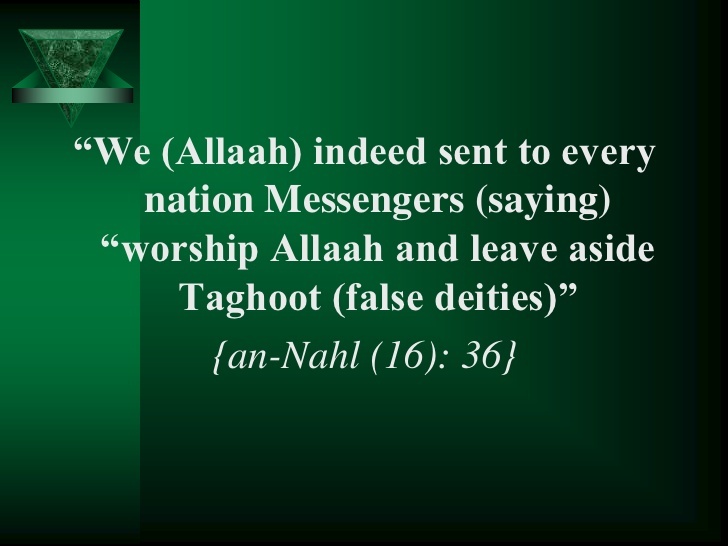 Allah also says: “Fiihi ‘Aayaatum-Bayyinaatum” – Therein are Manifest Signs. 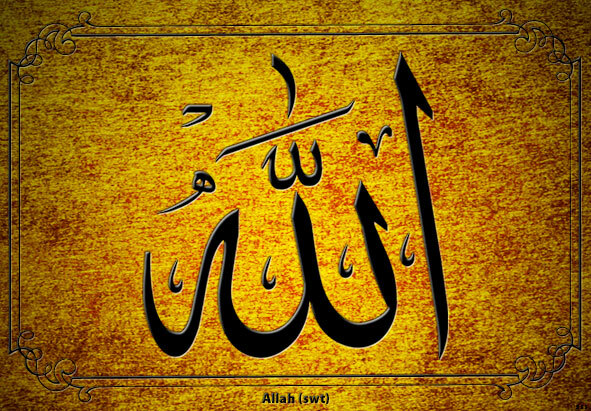 By “Aayaat”, Allah refers to those signs that lead to Allah and which come from Allah. These signs can be found in the “Maqaamu ‘Ibrahiim” ​​(the rank of Abraham). 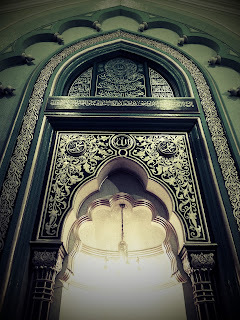 “man-dakha-lahuu kaana ‘aamina” - All who enter it will find peace. “Wa lillaahi ‘alan-naasi Hijul-Bayti” - the pilgrimage to the House is a duty to Allah, incumbent on all people, at least those who can find the means to get there (to accomplish it). “fa-’innallaaha Ghaniy-yun ‘anil-’aalamiin” - should remember that Allah is Independent of all creatures, Allah is Self-Sufficient. 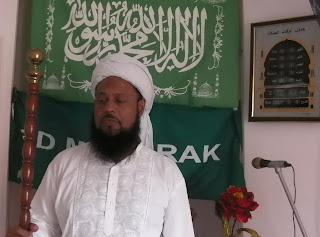 Here the word “‘aalamiin” that has been taken is related to the “‘aalamiin” from the “mubaarakan-wa hudal-lil-‘aalamiin”. “Allah has built this House in order to make humanity benefit from the divine grace. If we take the word “‘aalamiin” which says that Allah is independent of all creatures, we can then ask the question as to what is the importance of this House. This means that He cares about humanity and wants them to receive His blessing. But those who refuse His support are the only ones to be blamed. There are scientists who say that the earth on which we live is very small. Compared to other divine creations, for them the earth is only an insignificant thing. 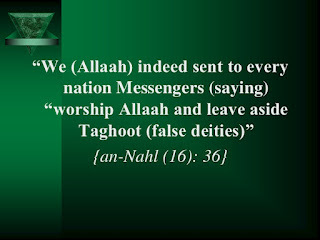 Verily, neither what they say is accurate, nor is it our belief that God reveals Himself only through a particular nation or sect. God has no connection or special love for a particular nation. 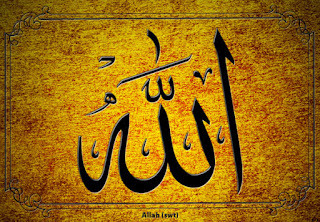 What is correct (to state) is that God, the God of the universe as a whole has created the means to physically nourish and develop everything that He has put on earth without distinction, and according to our faith, that same God (Allah) is “Rabbul Aalameen”, that is to say, He is the One Who provides the whole universe everything we need; it is He who gives us all sorts of favours/ benefits. He has provided cereals (i.e., food and also drink), air, water, light, etc. to all His creation. Similarly, in every period of human existence and to every nation He has, from time to time sent reformers to reform peoples. As stated in Surah Fatir of the Holy Quran, Allah the Almighty is the God of the universe. In fact, in this regard, we find no contradiction in the scriptures that were given to the nations from time to time. This is so because the advent of a reformer is a necessity when the world tends to indulge in evil and unethical practices such as lying, stealing, quarrels and general immorality that lead people to move away from purity and virtue and to be enslaved by selfishness. Their submission to such wrong practices/ to such evils is such that they abandon the worship of God and they indulge in idolatry. God takes care of the physical and spiritual well-being of man. His Munificence requests that in such times of spiritual darkness, He needs to appoint a person to reform (mankind) and the concept of such a representative (of God) does not affect any law of nature.